William Roper is “buying time” for the rest of the Pentagon, he told us in a rare interview. HisStrategic Capabilities Office finds near-term but game-changing upgrades for existing weapons systems, preserving American advantage over rapidly advancing adversaries while DARPA and Defense Department labs develop a new generation of breakthroughs.Yesterday, we wrote about Roper’s overall approach. Today, we get into specific technologies. Unmanned vehicles are a great example of how Roper’s near-term approach diverges from the longer-term Third Offset Strategy. DARPA, famed for long-range longshots, recently commissioned the world’s largest unmanned ship, the 130-foot Sea Hunter (aka ACTUV). Meanwhile, however, the Strategic Capabilities Office is working with the Navy on “autonomy kits” that can be installed aboard a conventional vessel to let it operate unmanned. After the unmanned mission, the kit can be taken back off, if desired, to let the boat operate with a human crew again. The British decision to leave the European Union is seen by many as a rejection of globalization, although the thumbs down was on free movement of labor within the bloc and not on free trade or unrestricted flow of capital within. At the same time, the world’s largest democracy—India—was preparing to mark its 25th anniversary of joining the list of globalizing nations. While lifting India’s GDP, globalization has increased an already wide chasm between a rich minority and poor majority. Over the years the New Economic Policy, or NEP, introduced by the Indian government in 1991, morphed into a compendium of economic liberalization, privatization and opening up to the world. NEP has come to be viewed as combining India’s entry into a globalizing world with its adoption of the neoliberal model of economic development—a brainchild of the International Monetary Fund (IMF) and the World Bank. Also known as the Washington Consensus, this model requires a government to reduce the state’s role in the economy, cut state spending and subsidies, abolish price controls, privatize public undertakings, reduce tariffs, welcome foreign direct investment, and regulate the financial sector lightly. In India the NEP architect was Manmohan Singh, then finance minister and later prime minister, who had once served as chief trade economist at the UN Conference on Trade and Development, an associate of the IMF and the World Bank. Narendra Modi, the current prime minister, is also committed to implementing the NEP. Pursuit of this policy resulted in annual economic growth breaking out of the 3-5% band of the pre-1991 era. But redistribution of the extra wealth has been skewed. Those already better off have improved their living standards further whereas the large majority who lagged behind before have stagnated or grown poorer. The accepted wisdom has it that, as a general rule, Chinese leaders should not be made to “lose face.” In the wake of last week’s Permanent Court of Arbitration award in Philippines v. China, a veritable chorus of China hands has called for the United States to support the ruling, but to avoid rubbing Xi Jinping’s nose in the dirt. Giving “face” to Xi Jinping—essentially, allowing him to escape the current predicament without incurring further shame—is important if we are to avoid a dangerous escalation of tensions, or so the thinking goes. There is a certain logic here. Xi Jinping has just suffered a significant defeat on the international stage, and at the hands of lowly Manila, no less. Should other countries now act with what Chinese citizens or leaders perceive to be disrespect, Xi will look weaker and more ineffective than he already does. He may fear for his grip on power. He might feel he has little choice but to take steps that make him appear strong—whether that means building on Scarborough Shoal, seizing an island from another claimant or increasing military presence around the disputed Senkaku Islands in the East China Sea. These and other outcomes, of course, are preferably avoided. If there is reason to believe Xi Jinping is prepared to pursue a face-saving, constructive, diplomatic climb-down, the United States should give him the space to do so. Canadian journalist Eric Walberg argues that turning back the coup, thanks to social media and mass demonstrations, is Turkey’s very own “Arab Spring”. “Fortunately for Erdogan, unlike in Egypt, the army was no longer the monolith it was in Kemalist days, headed by a ruthless general eager to crush the fledgling democracy,” he said. Who do you think are the main and real perpetrators of plotting attempted coup in Turkey? Academics were banned from travelling abroad to prevent the risk of alleged coup plotters in universities from fleeing. The sense of disappointment, dissatisfaction, distrust of Erdogan has continued to grow since his decision to involve Turkey in the uprising in Syria in 2012, breeding and opening the doors to terrorists and refugees. The mass arrests and firings attest to the broad dissatisfaction. Erdogan’s foreign policy mistakes are at the heart of the crisis. He burned one bridge after another–Israel, Syria, Russia, the Kurds, the West. Just before the coup, he was finally realizing the failure of his moves, the need to staunch the flow of blood, refugees and hard feelings all around, but too little, too late. The coup was a disaster waiting to happen, despite Erdogan’s crack down on the military over the past decade. The post-coup political environment could provide a ripe moment to reinstate the peace talks between Ankara and the Kurdish movement. Turkey’s failed coup shocked many over the weekend. It was a widely held belief that the era of military coups was long over. But as in all unfortunate political circumstances this might be an opportunity in disguise to reinvigorate the Kurdish peace process in Turkey. The subsequent purge of fifty thousand plus government officials with suspected Gulenist ties in the military, police and judiciary left Turkey’s security inevitably more susceptible to terror threats from ISIS and the PKK. However, it is important to note that during the night of the coup attempt the Kurdish political movement were openly opposed. Furthermore, among those detained in the aftermath of the coup attempt are some military and police personnel alleged to have taken part in the assassination of prominent Kurdish political activist and human rights lawyer, Tahir Elci, and the military commander who allegedly gave orders of indiscriminate fire on civilians in Cizre, among many others. It might be a little difficult to notice before the dust settles but the post-coup political environment could provide a ripe moment to reinstate the peace talks between Ankara and the Kurdish movement. Anti-coup sentiment and commitment to the democratic order could be two pillars upon which a new peace framework could be established in Turkey. The pro-Kurdish HDP is currently the third largest political party in parliament; HDP’s youthful leader Demirtas has been making calls for reinstating the peace process for a while. The cessation of violence in Turkey’s South East could help re-establish the democratic order in the country and curb the influence of militarists on the Kurdish issue. The announcement of Wilayah Philippines in southern Philippines epitomises a new IS strategy to “pivot” to Southeast Asia. It signals a direct threat to countries in the region even as IS Central comes under pressure in the Middle East. The establishment of an Islamic State wilayah (province) in south Philippines in April 2016 epitomises a new IS strategy to “pivot” to Southeast Asia. It signals a new direct threat to countries in the region even as IS Central comes under pressure from US-led forces and Russia in the Middle East. Not only will IS take the fight to regions where it has strong support, regional fighters need not travel to the Middle East to support IS. “Wilayah Al-Filibin” (WP) – the largely porous tri-border area adjoining the southern Philippines, Indonesia and Malaysia – will allow regional fighters to congregate in support of IS’ regional operations or even as a transit point. Although IS operating in Iraq and Syria remains a distant threat, through WP the self-proclaimed caliphate has explicitly laid claim to Southeast Asia. It is IS’ most powerful signal yet that it has political, ideological and military claims over the region as it believes it has strong support in Southeast Asia, as suggested by the presence of approximately 1,000 Southeast Asian fighters organised as the Katibah Nusantara grouping in Syria and Iraq. More Attacks in Southeast Asia? PARIS — Whether Mohamed Lahouaiej Bouhlel, who killed more than 80 people during Bastille Day celebrations in Nice, was an agent of the Islamic State or an unhinged loner who borrowed the group’s jihadist symbols, the slaughter raises the same fundamental question: Why do so many more attacks of this magnitude occur in France than in other European countries? Belgium has also been hit recently, but less often. In Britain and Spain no terrorist attack has killed more than 10 people in over a decade. In Germany, there hasn’t been a major attack at all. Failures in the French security and intelligence services cannot account for the difference, because communication problems afflict such services throughout Europe. The answer lies elsewhere: When it comes to jihad, too, there is a French exception. France’s distinctiveness arises in part from the ideological strength of the idea the nation has had of itself since the French Revolution, including an assertive form of republicanism and an open distrust of all religions, beginning, historically, with Catholicism. This model has been knocked around over the years, first by decolonization, then by decades of economic hardship, the growing stigmatization of cultural differences, the fervent individualism of new generations and globalization, which has narrowed the state’s room for maneuver. 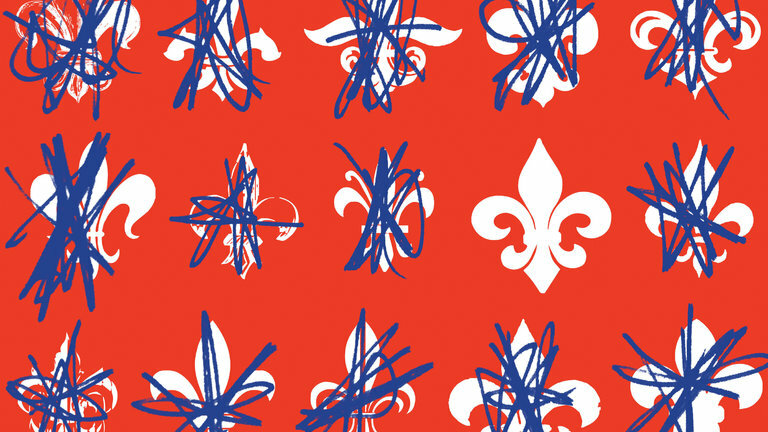 Above all, France hasn’t been able to solve the problem of economic and social exclusion. Its system, which is too protective of those people who have jobs and not open enough to those who don’t, breeds angst all around. Young people in the banlieues, marginalized and with few prospects, feel like victims. They become prime targets for jihadist propaganda, often after a stint in prison for petty crimes. A new U.S. proposal to coordinate counterterrorism operations in Syria with Russia, discussed by President Obama last week with President Vladi­mir Putin, is partly designed to stop Moscow’s Syrian government ally from bombing ­civilians and U.S.-backed moderate opposition forces. The U.S. will likely commit more troops to Iraq to bolster local forces against “specific objectives” in the campaign to retake the last ISIS main stronghold at Mosul, ArmyGen. 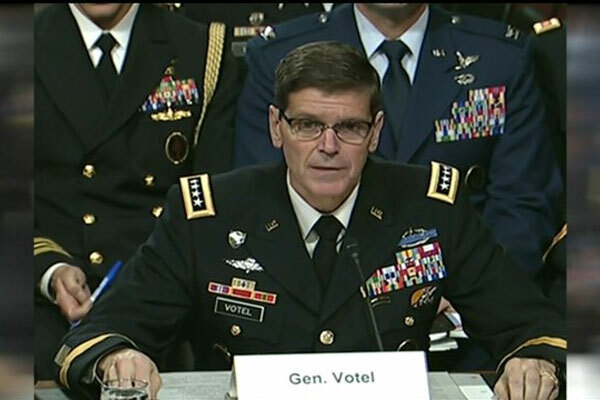 Joseph Votel, commander of U.S. Central Command, said Wednesday. Following the failed coup attempt in Turkey last week, concerns have been raised about the safety and security of American nuclear weapons stored at Incirlik Air Force base. People have wondered if the United States still needs to store nuclear weapons abroad. There have also been questions about the particular mission of the B-61 — a gravity bomb designed for delivery by piloted aircraft. The debates about the B-61, however, have failed to account for how the United States’ “pick up and drop” approach to NATO’s nuclear weapons posture in Turkey could prompt a first strike — and therefore undermine the deterrent mission the bombs are supposed to support. As early as 1956, the United States and Turkey began to discuss the deployment of “special weapons” in the “Adana area” (Incirlik). The first nuclear capable delivery system in Turkey, the Honest John rocket system, was deployed in Adana in 1957, with the associated warhead being deployed in 1959. * Following the signing of the 1959 “Agreement for the Cooperation on the uses of Atomic Energy for Mutual Defense Purposes,” the United States began to build up its nuclear assets in Turkey, deploying gravity bombs and nuclear artillery shells. That same year, Turkey and the United States agreed to deploy three Jupiter missile squadrons at Cigli Air Force base near Izmir. The Jupiter deployment was, by and large, a result of bureaucratic inertia. In short, the United States had made the decision to deploy missiles in Europe. Turkey received the last three squadrons, despite plans to replace the capability provided by the Jupiters with the Polaris submarine launched missile — and a commitment to keep at least one sub in the Mediterranean. In the first presidential election since 1968, domestic tranquility is a burning issue. Domestic tranquility, that lofty term from civic classes and Saturday morning Schoolhouse Rock, weighs heavy on the minds of Americans who probably never considered it before. We have no choice after San Bernardino,Chattanooga, Dallas, Baton Rouge, Orlando, Brooklyn, Paris, Nice, Baltimoreand Brussels all became a bloody blur of escalating violence. But even in 1968, threats to domestic tranquility were not as severe and not as dangerous. That’s why “Make America Safe Again” was the central theme atMonday’s session of the Republican National Convention in Cleveland. What makes 2016 different is that the bloodshed is part of a barbaric struggle to unravel Western institutions and the rule of law. The seemingly random violence is the vanguard of two not unrelated ideologies. Both the radical Islamic attacks on domestic tranquility and the racialist attacks on the police aim to undermine the American constitutional order. Don’t call them “lone-wolf attacks.” The term “lone wolf” insulates each new act of mayhem from a larger context and from ideology. The killers might act alone, but they are certainly not alone in their burning hatred for Western values and the rule of law. Disassociating the killer from the overarching narratives and ideologies delays the moment when the West will fully understand what is happening. On July 20, 2016 after more than six years of dispute, the Turkish Parliament voted on the expectation of a reconciliation agreement with Israel. The agreement that was signed on June 28, 2016 in Rome has major importance to the Obama administration after its attempts at mediating between the parties in order to strengthen moderate actors in the Middle East. After the recent failed military coup in Turkey, Israeli prime minister Benjamin Netanyahu asserted that “Israel and Turkey agreed on reconciliation, and we assume that this process will continue regardless of events over the weekend.” Netanyahu had previously said that “Israel and Turkey are two major powers in the region and the break between us is not good for our vital interests and prevents us from cooperating in those instances, and there are more than a few, in which cooperation is warranted.” On July 18, the Turkish administration clarified that despite the military coup attempt, Turkey intends to continue the reconciliation process with Israel and to apply the signed agreement. The main points of the agreement include the renewal of international diplomatic relations that were cut in the aftermath of the 2010 Gaza flotilla raid, and a major economic cooperation agreement based on Israel’s recently discovered natural gas reserves in the Mediterranean Sea. Israel will also transfer a $20 million one-time payment to a Turkish humanitarian fund, to compensate the families of the Turkish citizens who died during the raid. Turkey, in turn, will withdraw its nine-year-old demand to lift the Israeli blockade on the Gaza Strip—in place since June 2007—and will revoke all of the prosecutions being held in Istanbul against Israel Defense Forces officers. At the recent Warsaw Summit, NATO formally announced its plan to station four battalions in the Baltics starting in early 2017 to deter Russian aggression—one each in Estonia, Latvia and Lithuania and an American battalion in Poland. These small forces are intended to serve as “tripwires” signaling to Russia that an attack on one of these states would result in immediate escalation to a full-blown conflict with NATO. That is, the four battalions are supposed to convince Russia that moving against one of its Baltic neighbors would not be worth the risk of a wider war with the United States and its European allies. The NATO tripwire force will not deter Russia from advancing into the Baltics if it wishes to do so. Simply put—cheap force cannot signal high resolve. For a country as powerful and wealthy as the United States, it will cost relatively little to station a battalion in Poland. The fact that the deployment does not impose any real risk or cost on the United States and its NATO allies means that it cannot credibly signal to Russia that the alliance is sufficiently motivated to escalate the use of force to a level necessary to expel Russia from one of the Baltic states if and when deterrence fails. The vote last month by the United Kingdom to leave the European Union (EU) caught most people by surprise. Even many supporters of the referendum seemed surprised, having prepared post-election speeches explaining their defeat and pledging to fight on. While it appears there are still same ways that the Brexit may be prevented, the vote clearly expressed an enormous amount of discontent with the status quo. Many commentators have focused on racism and xenophobia as major factors in the move to leave the EU. Undoubtedly these were important considerations. Many people in England, especially older ones, are uncomfortable with the country becoming more diverse. They fear and resent the people coming in from the Middle East, Asia, Africa, and elsewhere. But racism and xenophobia are not new for the United Kingdom. What is new is that these forces are powerful enough to force the country to break with a political union it joined more than four decades ago. Needless to say, there have been other situations where such forces came to dominate politics and they have not ended well. The issue in the UK and elsewhere is that there are real grievances which demagogues have been able to exploit. First and foremost is the austerity that had curbed growth in the U.K. and cut back funding for important programs. While austerity has not been as severe in the U.K. as in the euro zone (the U.K. is not in the euro), the conservative government sharply cut government spending in 2010, ostensibly out of concern that deficits and debt were harming the economy. Amid rising nationalism, the democratic powers of the West struggle to retain openness and economic integration. Soon after the Berlin Wall came down in 1989, followed by the disintegration of the Soviet empire, there was talk of end of history. However, after two decades of democratization and global economic integration, history is resurgent. Cultural and economic nationalism and historical grievances have raised their ugly heads to challenge the generally unifying tendencies of economic and technological globalization. The deliberations at the July summit of the North Atlantic Treaty Organization in Warsaw offered dramatic evidence of the sea-change in Europe since the celebrations at the Berlin Wall. At the meeting the allies decided to rotate thousands of additional US and West European forces into Poland and the Baltic states to counter any cross-border military threats from Russia. They also took additional steps to strengthen the Ukrainian armed forces and reaffirm the alliance’s nuclear security guarantees. Russian officials attacked NATO’s moves as threatening Russia’s security and a new Cold War. Foreign Ministry spokesperson Maria Zakharova accused the alliance of “focusing its efforts on the containment of a non-existent threat from the east” and aiming to “change the existing balance of power” at the expense of regional security. In East Asia, too, celebrations around the rise of China as the great engine of world growth have given way to fear about Chinese expansionism and military might. Beijing’s harsh denunciation of the July 11ruling of The Permanent Court of Arbitration in The Hague on China’s expansive claim of virtually all of the South China Sea has pitted it against nearly all its neighbors. As China rattles its saber, there is growing concern about armed conflict with the United States and its Asian allies. The topic of South China Sea will likely dominate the upcoming meeting of the Association of South East Asian Nations in Laos. The bloc’s potential is continually vitiated by the divisions among members over how to manage China’s territorial claims, which Beijing exploits. Lockheed Martin has completed the third of three test shots to prove that their air-launched Long Range Anti-Ship Missile (LRASM) can be fired from a surface ship on the move, company officials told USNI News on Wednesday. The Monday test at the Navy’s Point Mugu Sea Range, California took the same weapon Lockheed developed for a DARPA program to be launched against ships from fighters and bombers and loaded it into the same launch system used on the service’s guided missile destroyers and cruisers. “We’re doing it to demonstrate that LRASM can be integrated onto a ship with software changes only and it won’t be a huge bill to put LRASMs in the surface fleet,” Scott Callaway — LRASM Surface-Launch director at Lockheed Martin Missiles and Fire Control — told USNI News. Lockheed refurbished a Mk 41 Vertical Launch System cell for the test, combined the 500 nautical mile range LRASM with an additional booster and tied it to a Tactical Tomahawk Weapon Control System (TTWCS) for guidance – all installed on Navy’s Self Defense Test Ship, the former USS Paul Foster. On July 19, the U.S. State Department cleared the possible sale of 246 Raytheon SM-2 Block IIIB standard missiles, equipment, and support to Japan at an estimated cost of $821 million, according to a press release by the U.S. Defense Security Cooperation Agency (DSCA), the Pentagon’s lead agency responsible for arms sales to allies and partner nations. The arms deal is still subject to congressional approval before it can proceed. “The Government of Japan has requested a possible sale of up to two hundred forty-six (246) Standard Missile (SM-2), Block IIIB Vertical Launching Tactical All-Up Rounds, RIM-66M-09. This request also includes MK 13 MOD 0 Vertical Launching System Canisters, operator manuals and technical documentation, U.S. Government and contractor engineering, technical and logistics support services,” the press release notes. M-2 Block IIIB standard missiles are advanced surface-to-air missiles capable of intercepting targets at a distance of up to 90 nautical miles (166 kilometers) and an altitude of 65,000 (19,812 meters). According to the missile’s manufacturer, U.S. defense contractor Raytheon, it is “lethal against subsonic, supersonic, low- and high- altitude, high-maneuvering, diving, sea-skimming, anti-ship cruise missiles fighters, bombers, and helicopters in an advanced electronic countermeasures environment.”Enjoying this article? TAMPA, Fla. – Special Operations Command is looking for a few good ideas to help it fight the Islamic State and other adversaries, a top acquisition official said on May 25. It has niche requirements for tools that will help it defend against drone and electronic warfare attacks, and to navigate the world of social media, said Tony Davis, the command’s science and technology director. While special operators may be best known for their commando skills, psychological operations, known today as military information support operations, is also part of its purview. And much of that takes place on the Internet. “How do we step up our game in social media influence [and] understanding public sentiment?” he asked at the Special Operations Forces Industry Conference, which is hosted by the National Defense Industrial Association. The command has also been looking at technologies that near-peer competitors are developing which could threaten U.S. commandos’ ability to fight effectively. To thwart advanced adversaries, SOCOM needs defensive capabilities to operate on battlefields where cyber and electronic warfare tools are part of the enemy’s arsenal, Davis said. Following major cybersecurity breaches nationwide, the National Security Agency is increasingly being called upon to advise both government offices and the private sector, said the head of the United States’ spy agency. “Over the course of the last decade or so, increasingly NSA in its information assurance mission is being called upon to provide defensive insight as to how you stop penetrations — and once a network is penetrated — how do you drive the opponent out and then how do you configure structures so they can’t get back in,” said Adm. Mike Rogers, commander of U.S. Cyber Command and director of the National Security Agency. During the infamous Sony hack — in which the motion picture company suffered a major data breach in 2014, allegedly at the hands of North Korea — NSA was called in to help, he said July 14 during remarks at the National Press Club in Washington, D.C.
“If you had told me as a military leader, as the director of the NSA, that I was going to be involved in supporting a motion picture company in responding to how it was going to deal with a significant penetration I’ll be honest and tell you ‘Boy, I don’t think that’s going to come up during my time as the director.’ I failed to anticipate that one miserably,” he said. The Defense Advanced Research Projects Agency has released information concerning its innovative challenge to help alleviate the electromagnetic spectrum. The Spectrum Collaboration Challenge, announced in March with an eye toward ensuring military and civilian wireless devices will have unfettered access to the increasingly crowded and finite electromagnetic spectrum, will involve three year-long phases that begin in 2017. Teams that make it past the two preliminary events will mark the culmination of a championship event in 2019. A grand prize of $2 million is up for grabs for the team with the best software-defined radio solution that collaborates most effectively with a diversity of simultaneously operating radios in a manner that optimizes spectrum usage for the entire communicating ensemble, DARPA said in a release. Second place will walk away with $1 million and third $750,000. The spectrum is finite, and many have been concerned that with the increasing amount of devices being introduced both in the military and civilian space, there will not be enough room for the government to perform essential tasks, such as national security, that rely on the EMS. “What I worry about right now is that the private demand for spectrum is going to exceed our ability to keep pace. We could, if we’re not careful, put some national systems at risk,” DoD CIO Terry Halvorsen told Congress in March. Recently, the House Armed Services subcommittee on oversight and investigations asked the National Defense Industrial Association to offer its perspective on foreign military sales (FMS). Senior Fellow in Residence Tom Davis, along with Remy Nathan, vice president of international affairs at the Aerospace Industries Association, appeared before the subcommittee to provide some observations. As many have observed, the process by which FMS and commercial direct sales of military equipment to international customers are reviewed and approved by the U.S. government has grown complex and cumbersome. In the government itself, there are numerous stakeholders involved in the process including Congress and the Departments of Defense, State and Commerce. Defense and State essentially review items from the perspective of defense capability and strategy, and how a sale would further U.S. interests. Commerce reviews sales from the perspective of the transfer of technology that might have a dual-use capability, essentially a commercial item that could have military applications. Low-cost unmanned aerial vehicles are equipped with cameras, laser designators, radio frequency collection devices or weapons. The size and composite materials used in UAV production make them difficult to defeat with traditional force protection measures and short-range air defense systems commonly employed by maneuver forces. In Ukraine, both Ukrainians and Russian-backed separatists are operating UAVs in relatively large numbers. They are reportedly operating more than a dozen variants including fixed- and rotary-wing configurations, each functioning at different altitudes with various sensor packages. For nearly three decades, U.S. and allied forces have had the luxury of conducting ground and air operations in a virtually uncontested airspace environment. Development and fielding of air-defense systems has declined and passive air defense skills have atrophied across the force. Leaders at all levels cannot be lulled into a false sense of security because of the small size of these UAVs. They are as effective, if not more effective, than traditional manned aircraft (or even stealth aircraft) in reconnaissance, surveillance, and target acquisition precision attack and indirect fire support. UAVs can create serious problems for maneuvering or static forces. Conventional air-defense systems often “filter” out tracks to avoid confusion with clutter, large birds and aerostats. Systems optimized for this threat often forfeit effectiveness against other target sets (manned aircraft, cruise missiles, rockets and mortars, and ballistic missiles).